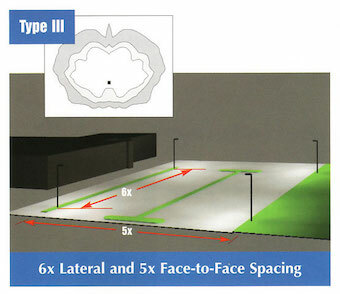 Solar Parking Lot Lights Self Contained, Solar LED Parking Lot Lighting Self Contained PV 40W LED 5200 Lumens, Applications: Solar Parking Lot Lights, LED Solar Street Lights, Solar street light self contained, Solar Power LED Street Lighting, Self-Contained Solar-Powered Streetlights, Parking lot lighting, Security Lighting Self Contained, LED 40Watts, 5200Lumens. 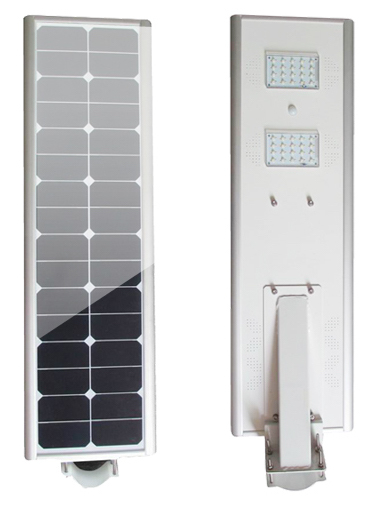 Solar Powered LED light integrated high efficiency solar panels, controller, human infrared motion sensor module, high-capacity lithium-ion battery and LED Lighting technology into a small compact housing unit. 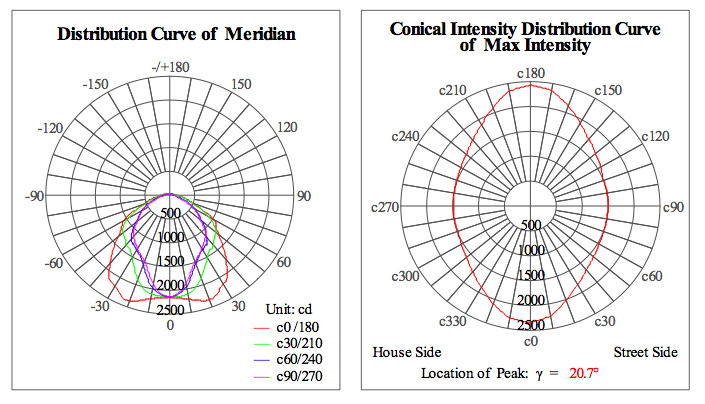 Intelligent Human presence sensor system, which can sense human activity and increases its brightness intensity level. 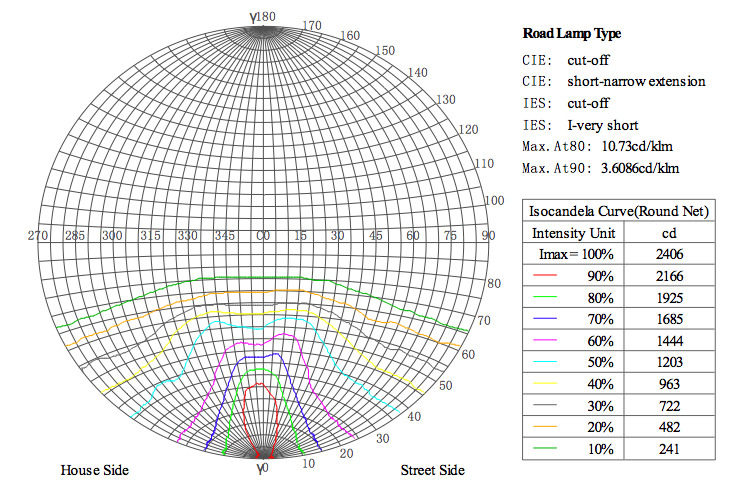 Lumen (LM): 4800-5200lm. Brite Mode. Lumen (LM): 1700lm. Dim Mode. 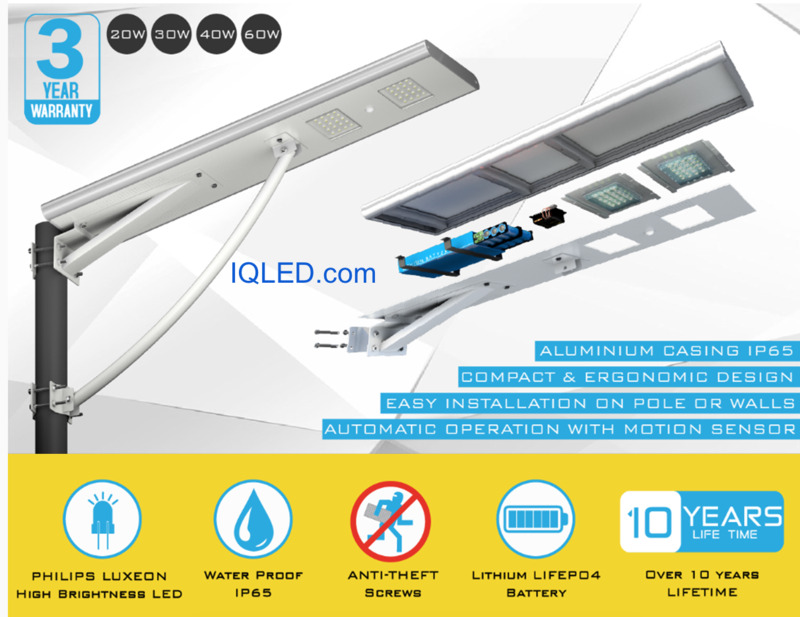 LED Power: 40W (USA Bridgelux led)/COB. 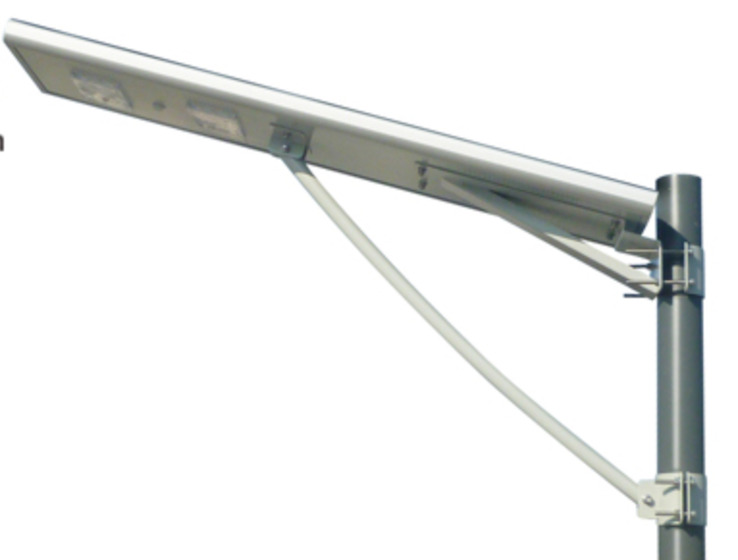 Mounting height: range (m) 6-7m - 20 feet. Space Between Lights: (m) 13-18m - 40 - 50 feet. Charge time by sun: 6 hours (with enough strong shine). 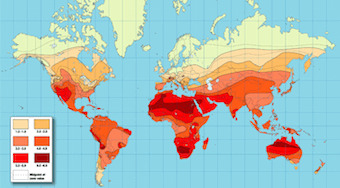 Working time: >20hours, Backup 2-3 rainy days. High quality designed to reduce freight and shipping cost as they are light weighted, and compact in size. 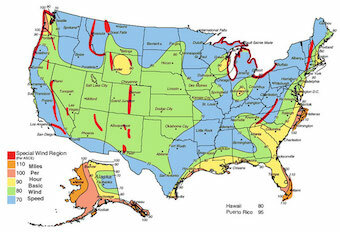 Installation, it is extremely easy to deploy anywhere any time. 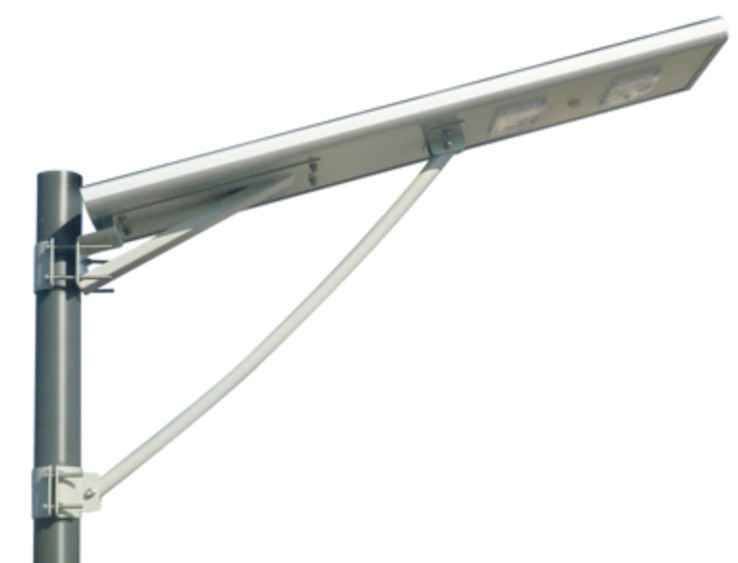 The complete lighting system is built into one compact housing unit and no wiring is required. 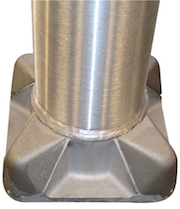 It is simply installed by clamping its brackets onto a conventional pole. LED Lighting anywhere any time Deploy in about 5 minutes. 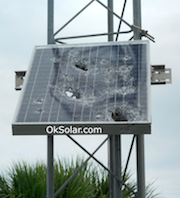 Ruggedized IQLED OkSolar End-to-End Lighting protection for Civil and Military Applications. Mobile Units deploy worldwide and at a moments notice, rugged enough to withstand transits to the location and operations anywhere anytime. 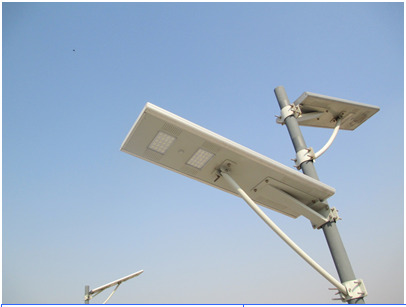 UNIVERSAL HAND HOLE COVER (IQU-Cover) is a security cover for light poles. 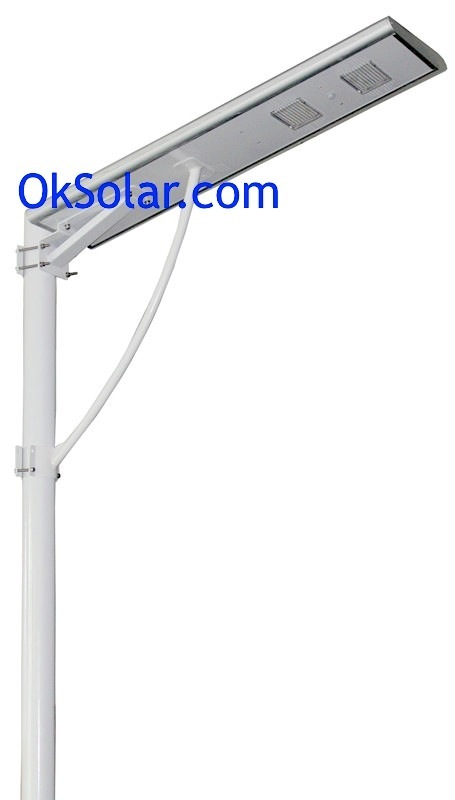 The product secures from outside the pole with a stainless steel strap and a head security bolt.